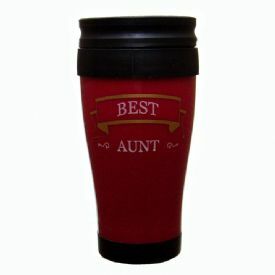 with "BEST AUNT" printed on it. These mugs have a screw on lid and are all the same. Do not put this mug in the dishwasher or microwave. Unit comes 1 pc. in an open front box.